"Power, money and racist ideology marginalized W.E.B. 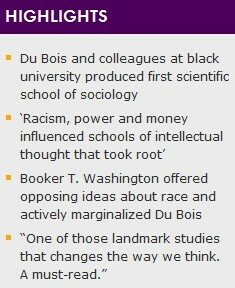 Du Bois, professor argues." writes Northwestern University. In his groundbreaking new book, Northwestern University’s Aldon Morris has done no less than rewrite the history of sociology by making a compelling case that black sociologist and activist W.E.B. 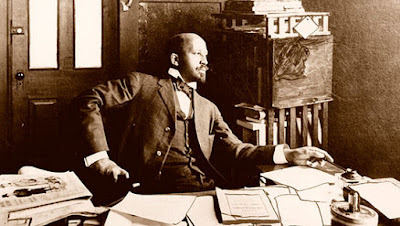 Du Bois was the primary founder of modern sociology in America at the turn of the 20th century. 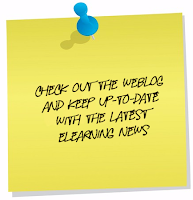 It is a sociology that bases its theoretical claims on rigorous empirical research. 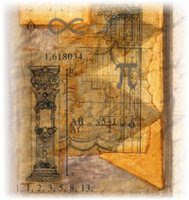 Morris’ book has already garnered high praise from leading scholars of race and social thought. 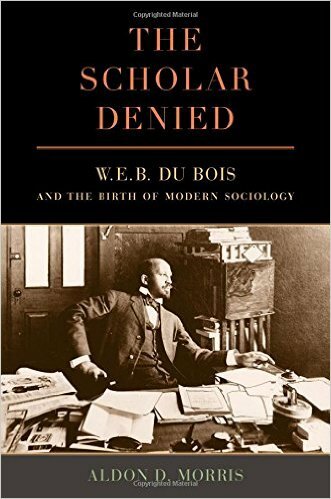 Morris hopes that “The Scholar Denied” will inspire social scientists and humanists to produce more rigorous and critical scholarship, especially pertaining to the contemporary nature of race. Du Bois provided a model of such scholarship throughout the first six decades of the 20th century.